An intense fragrance which feels brave and truly epitomises masculinity! Top Notes: Bergamot, Red Apple, Cardamom. Middle Notes: Lavender, Yellow Plum, Orange Blossom. Base Notes: Cedar, Tonka Bean, Labdanum. Man In Red first launched in 2015 and is an Eau De Toilette. When first sprayed I could immediately pick out the Bergamot note, which blended beautifully with the Cardamom and Red Apple notes. The projection of this fragrance is quite subtle. However, the sillage of this is medium to heavy and could be smelt upon my skin for up to 6 hours, which is impressive to say that this is an Eau De Toilette! I found the dry-down of Man In Red to be warm and found that the Tonka Bean note remained very prominent. 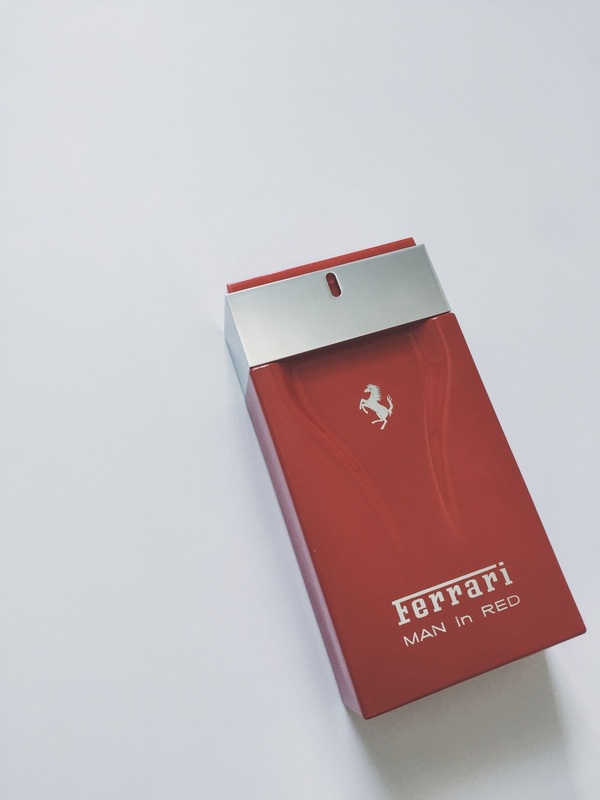 Ferrari; Man In Red Eau De Toilette is available in 50ml, 100ml. The fragrance is even available as a shower gel, deodorant, and after shave lotion! You can purchase the Eau De Toilette here. A little side-note... With Father's Day just weeks away, I would thoroughly recommend this as a gift if you are stuck for ideas! I will be doing a Fathers Day Special very soon, so be sure to check back for that! Have you smelt Man In Red before? What do you think? Don't forget to leave me a comment down below!